If you have hearing aids, you are probably aware that the technology is quite fragile. 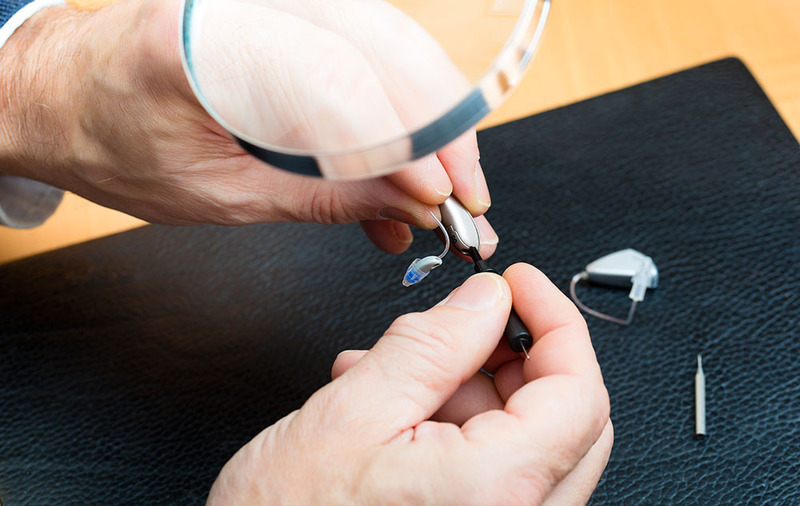 Hearing aid repairs are common and can be expensive. It’s worth being aware of the common causes of hear aid repairs. If you know the causes, then you should be able to avoid them and avoid the expensive bill that comes with it. While not a dead set rule it’s true to say that you can’t get most hearing aids wet. Think of hearing aids like little computers because they days that’s exactly what they are. These devices tend to come with everything from Bluetooth to infrared to connect to different devices. It’s no surprise then that you shouldn’t get these devices wet. That means that you need to take them out before you take a bath, go swimming or hop in the shower. Of course, there’s a problem here. The devices are so small that it’s easy to forget that you are even wearing them. The exception would be for in ear hearing aids. Some of these devices are waterproof and therefore you don’t need to worry about getting them wet. However you still shouldn’t risk full submersion of these devices as it could still lead to repairs. If you leave hearing aids out of the case, then there is a great possibility that they will get damaged. Most hearing aids on the market these days do come with special cases. Some of them even act as charging ports giving you extra incentive to make sure that you are putting them back in the case after use. Once again, these are highly sensitive devices and leaving them out of their case is never a good idea. They should either be in your case or in your ears. If you don’t have a hearing aid case, you might want to speak to your audiologist about this. You might be able to get a basic one that still fits your hearing aids inside. There are more delicate areas of your hearing aid. An example of this would be the tubing or the hook that tends to fit over the ear to secure the hearing aids in place. Both can easily be broken, cut or snapped. As such, you need to make sure that you are taking particular care of these areas. You shouldn’t hold the hearing aids by this area and instead make sure that you are holding the main part of the device. If your hearing aids have batteries, you do need to be careful about how you load the batteries. Loading the batteries the wrong way will lead to issues and may cause damage to the device, so you need to be careful. If you are unsure how to load the batteries, you should ask your audiologist about this when you are given your hearing aids. Remember, you can avoid a lot of repairs, simply by asking your audiologist how to properly maintain, store and care for your hearing aids.